artist: Frankie Goes To Hollywood title: Relax format: No.1 magazine 1/2 pg advert design: XLZTT photography: John Stoddart cat. no: ZTAS1 date: 29/10/83 art of notes: The photo was taken by John Stoddart from his second session with the band, a toned down version of their leather gear look. 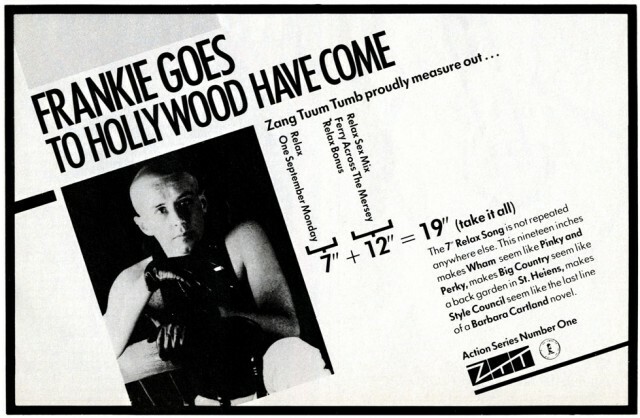 Exactly the same ad ran in Smash Hits’ 27.10 – 9.11.83 issue.